Last night’s Golden Globe Awards should go down in history for many different reasons (did you see the amazing sea of black gowns?). But you really can’t talk about the broadcast without starting with Oprah Winfrey’s landmark speech. 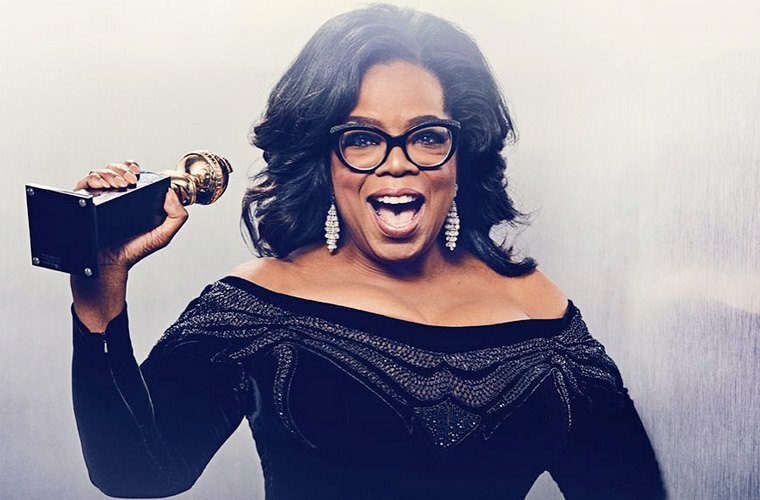 After her A Wrinkle in Time co-star Reese Witherspoon presented Winfrey the Cecil B. DeMille Award for lifetime achievement, the talk-show host, actress, and philanthropist spoke straight gospel about race, gender, general equality, and more. She also told the early #MeToo story of Recy Taylor, a black woman who was raped in the Jim Crow era and never received the justice she deserved—even with Rosa Parks’ help. But Winfrey assured the audience that things are changing for the better. Winfrey’s inspiring speech wasn’t the only noteworthy #girlpower moment of the Golden Globes, though. The awards show was full of evidence of who, exactly, runs the world. Here are 5 other inspiring moments at last night’s Golden Globes. Instead of bringing just anyone as a plus one, plenty of stars invited activists to walk the red carpet with them: Michelle Williams brought “Me Too” creator Tarana Burke, Amy Poehler brought restaurant workers advocate Saru Jayaraman, Meryl Streep walked with National Domestic Workers Alliance executive director Ai-Jen poo, and Emma Watson took feminist leader Marai Larasi, to name a few. During her red-carpet interview with E! about the iconic evening, Debra Messing got right to the point. In December, longtime E! News host Catt Sadler quit her job after opening up about her male co-host making double her salary—and the Will & Grace star wasn’t into that at all. Amy Poehler might have just coined the biggest catchphrase of 2018. During Seth Meyers’ monologue, he asked actresses and actors in the crowd to give him some punch lines to his jokes—but the Parks and Recreation funny lady wasn’t into the setup, for super-empowered reasons. After saying she doesn’t need his help telling a great joke and asking if he’s mansplaining how to be a comedian, Poehler prepared for her punch line by grabbing her glass, taking a sip, and saying, “I’m reclaiming my wine”—a nod to representative Maxine Waters. Then without a setup, she went for her joke: “Said the peach in Call Me by Your Name, ‘This scene is the pits! '” Nice one, Poehler. When presenting the award for Best Director, Natalie Portman made the audience very aware of a certain detail: There wasn’t even one woman nominated. Before reading off the names, she said “and here are the all male nominees,” emphasizing the gender bias in a simple yet totally fierce way. That sentence became a highlight of the entire night. Want some tequila? Hit up Frances McDormand, who’s buying rounds for everyone. While accepting her first Golden Globe Award, she didn’t hold back with her acceptance speech: “Well, I have a few things to say. All you ladies in this category: bar. Tequila’s on me.” Here’s to hoping she was taken up on the offer—there was so much to celebrate. Check out these Golden Globe noms that highlighted athletic boss babes. Or, learn Julianne Moore’s free secret to maintaining perfect skin.